My first bike was a Thunderbird. The first one. The one which débuted the 350-cc AVL lean-burn aluminium engine. It wasn’t the ‘old’ one, not being made of pig iron and having points for ignition, but a “lighter”, “leaner” and more efficient version of the same engine. What was different? Not much, just more aluminium and the inclusion of CDI and a CV carburettor which made throttle response more pleasing. It still had the ‘feel’ and it was bloody comfortable. I’ll be honest. 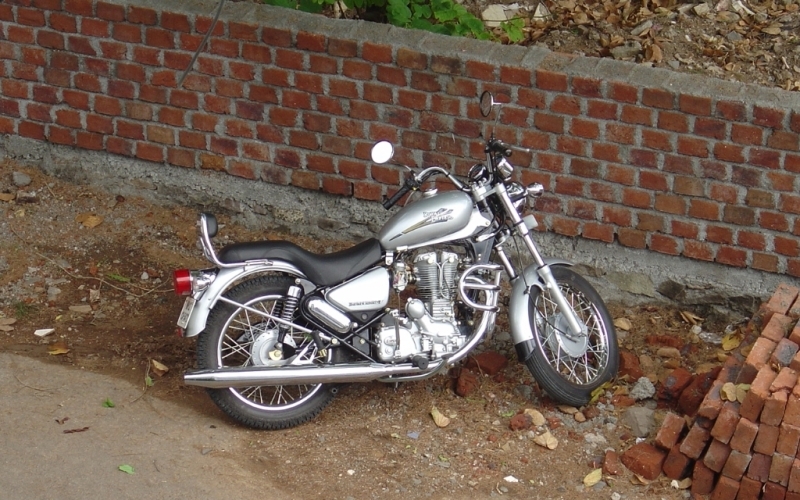 I only began working after college because I wanted a Royal Enfield. My eye was on the Lightning 535. Sadly, that model never made it to my graduation and first job. The Thunderbird was the replacement and while it didn’t have 38 Nm of torque and a right-side shift, it felt just as cruiser-ish as I’d like. All those late-night shifts were worth it because I went into the showroom – the very familiar showroom where I’d test-ridden Bullet models for years – and actually put my money where my mouth was. The trouble was, I went to buy a Machismo; that chrome and black masterpiece which shared the same engine and had a five-speed left shift. However, the new Electra 5S also came by at exactly the same time and, lo and behold, it had an electric starter! Both ridden, it was genuinely hard to decide. I also thought to myself, ‘Hey! Have a go on the T’bird as well. You’ve ridden damn near everything else…’ So I took the Thunderbird for a spin. The riding position, ergonomics and overall feel won me over. And, 20 minutes later, there was a bill with my name on it, and something/someone who would come to be known as Sylvia. The point is. The feel. The sound of the engine and the vibrations that go along with it. It’s like feeling the power being created. There isn’t just the thumping exhaust note – which by the way the T’bird lacked completely, no thanks to a bazooka-style exhaust which ended past the actual bike – there’s all sorts of noise which happens in sync. There are tappets and valves buzzing, and other grind-y sounds which make it instantly recognisable as a machine which was made to do something that would put a smile on your face. That’s the thing with Bullets. They have character, persona, sometimes obnoxious, I agree, but it’s hard for some people to not naturally like them. True, the engine, clutch and gearbox are three separate units and there is a pool of oil to mark its territory, but that’s how it is. And it’s come to be accepted as that for decades. I’m not saying there’s charm in a pool of oil which points to poor build quality and consequent lack of lubrication, I’m saying that it’s what causes the pool of oil and the way it does it that makes it special. And I wouldn’t have it any other way. Reliability is somewhat of a plus. I’m not crazy! With an old Bullet, there are a fixed set of things which will go wrong. Punctures, snapped cables, oil leaks, maybe a chain issue or wheel-spoke damage, but those can be prepped for. The urge to ride comes up often, but in hot climate and wee hours, I am truly lazy. The longest I’ve ridden (ever!) with Sylvia in a day was 660-odd km from Ambala to Jaipur back in 2009. And that included several refreshment stops because my constant fear of dehydration and passing out while astride is very real. I’m not one to attempt a saddle-sore and I don’t consider myself a biker. 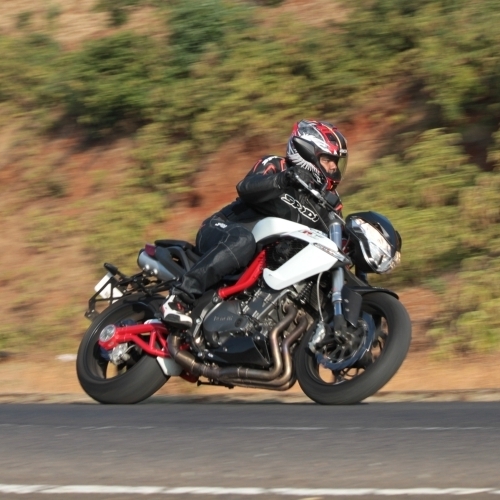 I just love to ride different motorcycles and drive different cars and see how they feel, trying hard to understand the perspective behind them, and, of course, literally answer the ‘what were they thinking?’ question that is often asked. That said, I always ensure I take Sylvia out on Sundays. Even if it only for a quick break or to try and catch a cloud.